How did you feel before you began training? When I made the decision to finally begin training, I was probably at one of the lowest points ever in my life. I was morbidly obese, depressed, and on multiple prescription medications for various things. I was embarrassed by how I looked, and couldn't really figure out when or how things had gotten so out of control. As a paramedic, work was difficult for me. I found it difficult to carry needed equipment up a flight of steps, to move patients, or to even get into some spaces or positions required of me over the course of a shift. I didn't want to go anywhere or do anything because it was all just HARD. What motivated you to take the first step? I had finally hit rock bottom for me. I woke up one day and decided I didn't like living like that any longer, and that I needed to make some changes if I wanted to continue to be around for my husband and my son. I was exhausted all the time, and didn't want to feel that way any longer. I finally had gotten to a place where not only had I decided that I really, truly needed to do something about my weight and health, but I honestly believed that I was worth the effort, and I deserved to put myself first for once. After the first month, how did you feel? There were days where I would feel tired or sore. There were days where I felt overwhelmed with the changes I was making, and even doubted if I could continue to do it. However, there were many more days where I felt encouraged. Because I had such a large amount of weight, I began seeing incredible progress almost immediately, and that really helped me to stay on track and keep going. The more success I had, the more I began to believe in myself and think, I really can do this! Bruce is an amazing instructor! He has never asked me to do anything that I wasn't able complete. It hasn't always been easy, and I haven't always been confident that I could do the task at hand at first, but over time learned that even though he would challenge and push me, he wouldn't ask me to do anything I wasn't ready to do. I love that he takes a very encouraging and low key approach to his instruction. He's very patient, and will spend as much time as it takes to make sure you are completing the task at hand safely and correctly. I have been working with Bruce for three years now. Within the first year and a half I have lost 92 pounds. (I have gained some back, but am working to get back to where I was.) I was inspired to become a kettle bell instructor, and in November 2015, I attended and successfully completed the Strongfirst SGF I certification for kettle bell instructors. Along with kettle bells, I have added barbell work to my program, and have successfully pulled a 330 pound deadlift. I've been able to do a strict pull-up. Recently, I added paintball photographer to my list, which is actually a much more physically demanding activity than I had imagined it would be. I am, quite simply, stronger and in better shape than I have probably ever been in my adult life. I love the feelings of strength and confidence this journey has given me. Trainer's Note: The scale weight lost reflects Lisa's fat loss. Due to the muscle gained, it is safe to estimate she lost 110lbs of body fat, while also losing well over 50 inches!! How has this effected the way you do your job and life in general? I love knowing that I don't have to rely upon the guys at work to move a patient for me, and that I am just as capable as they are of getting the job done. I love feeling strong! And, I love that I am able to get out and do things with my family that were difficult, if not impossible, for me to do 3 years ago. I have been able to stop taking many of the prescription medications I was on when I first started training with Bruce. A couple of summers ago, my husband and I went to Colorado for a vacation. For the first time since I met him, I was able to out-hike my husband. It was awesome to not be the one wanting to stop and take a rest for a change! I am much more active, and no longer feel as if I am missing out on memories with my son. Training with Bruce has easily been one of the best things I have ever done. What would you say to someone wants to go through the same process? Definitely contact Bruce! You aren't going to find anyone better at helping you to be successful, regardless of what your goals are. He is extremely supportive and encouraging and wants to see you be successful. The work isn't always easy, but if you trust him, with his knowledge and experience, he will do everything he can to help you get to where you want to be! CLICK HERE TO BEGIN YOUR VICTORY STORY! If you or someone you know can relate to Lisa's story, and wants to accomplish weight loss or strength gains like hers, then contact Victory Strength and Fitness TODAY! Some sources say, depending on your region, that weight gains can be as low as 1.5 lbs, but some can gain up to 10lbs over the holidays. It all happens very slowly. First we surround oursleves with candy all month long in October leading up to Halloween. Then as November builds up to Thanksgiving, many of us have office parties, church events, and even mutilple families to celebrate Thanksgiving with. So we end up having multiple massive meals, left overs, and desserts for a few weeks. Finally we have all the Christmas goodies hanging around every workplace, more office parties, more church events, and more family events all revolving around eating delicious but not very nutritious stuff. 5 Strategies to Fight the Battle of the Bulge! Don't buy Halloween candy until the day before or day of. This way it's not sitting around all month and you "accidentally" snack it all away. Then you won't have to replenish the treats for the kids. This will also save a bit of money! When the trick or treaters start to slow down, estimate who your last one is, and hook them up! Give them all the rest of the candy. Leave no bar behind! You'll be the best house ever for those kids, and now there is none left to derail your goals. Before any parties or big meals, drink a glass of water, or do one better, drink a protein shake. You will feel fuller faster and not be as likely to over indulge. If you are involved in a fitness program, get a good workout in before your party or meal event. Your body will be primed to absorb the sugars and less likely to convert them to fat. There's a catch! Only resistance training exercise can cause your body to be in a carb replenishing / non-fat storing state. If you are looking for a weight loss program. 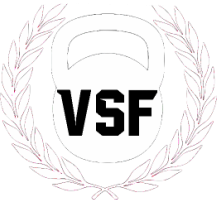 Victory Strength and Fitness has openings for new clients and there are spaces available in our Kettle Bell Strength and Endurance Classes. What do full time working moms, a 23 year old school teacher, a 52 year old man, a cancer survivor, and a working grandmother all have in common? They all got phenomenal results from The Amazing 12 in just 6 weeks! ​Read more below about why this program is so effective and what these 6 people were able to accomplish in JUST 6 WEEKS! 6 weeks? YOU CAN DO THIS! RESERVE YOUR SPOT NOW! Each of these people have experienced first hand the effectiveness of the Amazing 12 and they are right here in Greenwood/Indy. At Victory Strength and Fitness(VSF) we get a lot of interest in the Amazing 12. Due to it's 12 week commitment many people have a hard time being able to set aside that much time to the program , so we offer a 6 week variation and give people the option to go on for another 6 weeks. They can transition to other options at VSF, or they can try it out on their own with the new found knowledge they have learned. This is where the incredible value of the Amazing 12 is found. It is a complete education on nutrition and strength training designed to equip you to accomplish your fitness goals and maintain them for life. ​ There are no starvation tactics, no calorie counting, no secret shakes or pills, just sound nutritional guidance and world class strength coaching accessible to all ages. Each person worked for 1 hour in a semi-private setting for 5 days a week. Check out the results from these graduates! Kelly G. - Our Full time working mom who is as strong as she looks! Lost 8lbs and over 3 inches from just her waist and abs, she gained a great deal of muscle and strength! -Deadlift increased 90lbs to sets 150lbs! ALL THIS IN JUST 5 WEEKS! "I heard about the Amazing 12 through my personal training sessions with Bruce Salazar. After having a baby four years ago, I was ready to dedicate more time to taking care of myself. While working with Bruce in one on one sessions, I noticed the results of the Amazing 12 class that followed my appointment. I was amazed at the progress they were making over the weeks and wanted the same results. I have been ecstatic about the progress and results I have seen in just 5 weeks. I have never been in better shape! I'm in better shape now at 41 that I was in my 20s. Brian H. - At 52 years young has a new found strength and energy! Gained tons of strength and muscle! ​ I’m a middle-aged man, and prior to this I had some bad eating habits. My intention was to lose significant weight, which I have, and this is beyond the previous workouts with Bruce. I am stronger and more solid. I haven’t had this feeling since my early to mid-twenties! Before training with Bruce my workouts were not as structured as his coaching has been. More hands on and better instruction on how to lift and breathe as you workout! I can certainly say that in my past workouts through my years, my eating has been my strongest foe, and I absolutely learned how to eat to maintain my fitness! I am looking forward to accomplishing my weight goals and eating healthier every day, the byproduct is that I will become stronger not only physically, but emotionally and mentally sharper!" "I am amazed by my results of the Amazing 12(6 Week program)! I have never felt healthier and more excited to continue working out and eating well. My favorite part about A6 was the way it pulled me out of my comfort zone. I had to try several new things this summer - I lifted weights heavier than I had ever thought possible. But probably the most exciting part of the program was the healthy food I tried! I created many new, very healthy dishes that tasted better than I ever would have imagined. I am now less nervous about trying "weird" alternatives to make healthier meals for me and my family. If you aren't sure about this program, for whatever reason, just do it! You will not regret it. This program was worth the time, mental, and financial commitments in several ways - a daily coach who knows how to encourage several personalities at a time; daily workouts that build on each other and strengthen you constantly; and an eating plan that clears out your system and helps you realize just how crummy those bad foods make you feel. By the end of just six weeks, I have created some amazing habits that I desire to see continue. The A6 is tough, but it is so worth it!" IN JUST 6 WEEKS JESSICA LOST 16lbs and nearly 14 INCHES!! She is also stronger than ever! Her deadlift began at 95lbs within 6 weeks she was deadlifting 175lbs for multiple reps! Her bench press began at 35lbs and by the end she was easily pressing 95lbs for reps! WITHIN 2 PROGRAMS IN 6 MONTHS JEN HAS LOST 49lbs AND NEARLY 38 INCHES! - 10 inches from the abs alone! - 6 inches from the waist alone! - 8 inches from the hips alone! "If someone had told me I would be where I am now I would have not believed them. This program is for real! If you want it badly enough, you will fight for it, and I'm glad I did!" Within the 6 week program alone SHE LOST 20lbs AND ALMOST 17 INCHES! Lost over 15 lbs and nearly 9 inches! She became a believer in the program and immediately signed up for a 12 week program. I heard about the Amazing 12 through posts and advertisements on social media. I wanted to do the program because in march of 2015 I was diagnosed with Lymphoma. Thankfully, I have made a full recovery because of the treatment, but I had lost a LOT of muscle tissue that I desperately wanted to get back, perhaps even gain more than I had.... I feel incredible about my results. My strength is better than it ever was before and I have confidence in my physical capabilities again. Especially after losing so much strength from fighting cancer and going through chemotherapy. This has really boosted my confidence because now I can walk into a gym and actually know what I'm doing! This program has virtually removed fast food from my thought process... The life and health lessons learned from this program could fill a book. If you are thinking of doing this program, I would say “Go for it!”. If you're intimidated by the financial investment, I urge you to save and/or figure out some way to do this program, because you have been blessed with this awesome opportunity to completely change your life. Only select places and people IN THE WORLD get qualified to properly administer this program, so understand that this is quite literally the best thing you can do for your body!" 6 weeks? YOU CAN DO THIS! CLICK HERE TO RESERVE YOUR SPOT NOW! ...You have seen the results. ... Now it's your turn. Click the link above and contact Victory Strength and Fitness about the 6 week program beginning Oct 10th. There are only 6 spots available. Don't miss out!